The three remaining candidates to be director general of the World Health Organization today met at length with UN journalists in the WHO and highlighted their plans for reform including finding new sources of funding for the continually cash-strapped UN agency that now could face threats from the US president to cut US funding. The candidates have been campaigning for many months, putting their jobs on hold and conducting nearly 200 bilateral meetings and using other means to interact with the global health community. Below are some key remarks from today by the candidates in order of their appearance. She pointed to three pillars of her plan: reclaiming WHO primacy, focus WHO on its core mandate, and usher in a new paradigm especially with a “better appreciation” of partnerships. 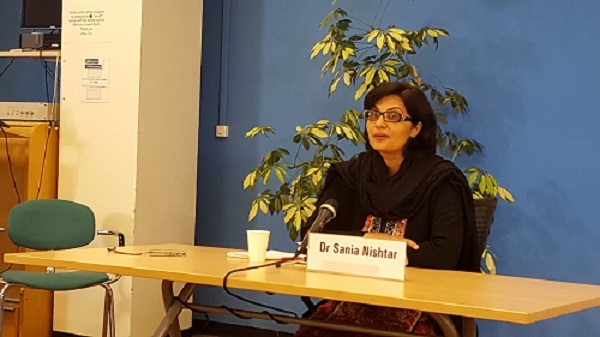 Nishtar raised concern about WHO’s reliance on a few donors, and said she is putting forward a vision of a new resource mobilisation strategy, and innovative financing. She also highlighted a focus on emergencies, again pointing to partnerships. She said she is aware that the next litmus test of the WHO will be another emergency. On relations with lobbyists and donors other than governments, Nishtar said the normative work of WHO (policymaking) needs to have a “firewall” between it and the partnerships. The private sector will come in at the implementation stage. Asked about access to medicines, she answered that there are major advancements in oncology and hepatitis C, for example. She said WHO has a clear role, referring to an access to medicines report that she said gave WHO a mandate to set up a surveillance mechanism, which she said would be helpful for industry to look at trends. She mentioned other initiatives such as an independent task force, and an agenda item on access to medicines at the annual World Health Assembly. And Nishtar was the only one (though in fairness Tedros was not asked this question) to mention the use of patent flexibilities in the World Trade Organization Agreement on Trade-Related Aspects of Intellectual Property Rights (TRIPS). She said it is “one of the ways to address the price issue,” and that it has been used for hepatitis C.
But while she referred to price and intellectual property issues as “one avenue” that can be considered, she highlighted also strengthening health systems, with governments providing more assistance. And she mentioned the need for vigilance, such as against “spurious” medicines. She repeated the possibility of helping countries build their capacities and to take advantage of the TRIPS Agreement, the Essential Medicines List, and the orphan drug list. She noted that in Pakistan some essential medicines are not available because the price is so low as to make it not commercially viable. She summarised by saying the WHO needs “different levers” at the global level to address access to medicines, such as best practices, regulatory norms and TRIPS flexibilities. On reform, she said, “We require a culture change in WHO because priority-setting in the past has only come up with a large wish list.” Now, she said, member states will either prioritise, or delegate it to the WHO to come up with priorities. 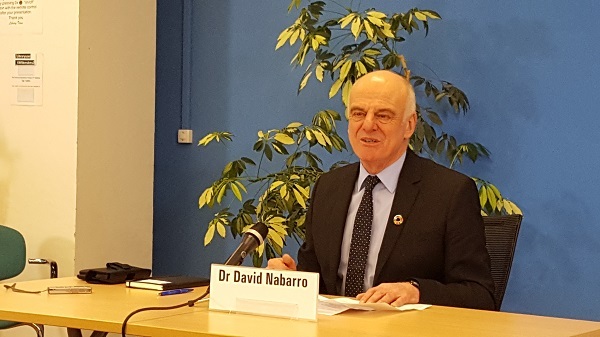 Nabarro highlighted his deep experience within the UN and international community as well as in the field as a medical doctor. But he stressed that he would seek to be “catalytic” and be a strong force for change in the organisation. He recognised that WHO is the only organisation that sets standards for global health and enforces them. It is in effect the leader for every person’s health on the planet, and global health is more of an issue now than at any other time in history. Among the many issues he talked about – such as noncommunicable diseases, emergencies, women’s health, and antimicrobial resistance – he also mentioned medicines prices. On Zika, he said WHO has handled it well, and is not the same as the outbreaks of ebola and yellow fever. He acknowledged that “no organisation is perfect,” and he has been asked to help work on some of the global health issues that have needed extra help. Nabarro was asked by Intellectual Property Watch about ideas to address the long “impasse” at WHO on solving the problem of making new medicines affordable for all. In responding, he noted that he was answering as a candidate, so there are things he cannot know and will know when he is actually director general. He disagreed with the notion of an impasse, and highlighted several instances where there have been successful agreements through discussions. “I think there have been times when the issue of affordable medicines has been presented as a controversial issue around, for example the way in which intellectual property is handled, or around the way in which medicines are priced by manufacturers,” he continued. “But I have noticed so often that if the issue is put at the centre of the table, and if the different parties come around that issue to focus on it, that solutions can be found. Asked if he is a “hands-on” kind of leader, Nabarro said, “You could say I’m hands-on and I wouldn’t mind that. But I’m somebody who wants others to get their hands on as well because I really believe if you’re not engaged in issues, then it’s very hard indeed to have impact.” That’s why he emphasises his “catalytic” role, he wants to bring out the best in others, like “pumping up the amplifier” on music at a festival. On the threat of loss of financial support to the UN from the United States (IPW, WHO, 26 January 2017), he said those threatening seem to be clear that there are purposes for international bodies, and they want to be sure that the purpose for which international bodies are working is absolutely clear, is in line with their national objectives, and the organisation is working for impact in the most effective, efficient and transparent way. Nabarro also spoke at length about Zika virus when asked a question about it, saying it is a really important question that exposes complexities. In his view the WHO, the governments, and other agencies have handled it well, and it is not the same as outbreaks such as ebola and yellow fever. Tedros said he believes he is the best candidate because of his mix of international and national experience. He said he instituted reform in Ethiopia, listing achievements such dramatically cutting mortality related to a range of diseases. He stressed his experience also with international organisations, such as being Board Chair of the Global Fund for AIDS, Tuberculosis and Malaria, and as a leader in the 2015 Financing for Development conference in Addis Ababa. His top priority is universal health coverage, which he attributed largely to a lack of political commitment. Second on his list is health emergency response. “There will be another round of pandemic and we need to prepare right away,” he said, adding that he would put at the centre national capacity to respond as well as WHO capacity, all harmonised with other UN agencies. His plan to reform WHO finances is to increase assessments, expanding the donor base, making voluntary donations more flexible, and creating more value for money. He also emphasised partnerships, mentioning UNICEF, the Global Fund and GAVI for example, and suggesting WHO would lead. On avoiding conflicts of interest at the organisation, he said the WHO Framework of Engagement with Non-State Actors (FENSA) – such as private entities, foundations, academia, and civil society – should be implemented. When expanding the donor base, he like Nishtar said normative functions should be “firewalled” and that any conflicts of interest should be avoided. If there is any supplier that supports that, “they are welcome,” he said. Asked about decentralisation of the organisation, he said what went wrong with ebola, for which the WHO was criticised for not responding quickly enough, was that countries such as Guinea with weak national capacity saw it go out of control, while countries such as Nigeria immediately put into effect its polio mechanism and stopped it. “Use what is at hand,” he said. He acknowledged that WHO is “overstretched and underfunded,” but dodged a question on priorities, saying he would prefer once in office to sit down with staff and partners and “through an inclusive process” choose what has to be deprioritised. Then they have to be decisive, he said. Tedros also talked about when political mobilisation is done at the top in New York and Geneva, that there is no “buy-in.” Rather, he would use a “grassroots” approach in a case like antimicrobial resistance (AMR) and start at the subregional level such as the Association of South-East Asian Nations (ASEAN) or the African Union (which has endorsed his candidacy). With AMR, despite the highest level declaration at the UN last September, he has seen the buy-in is “not enough” at the regional level. 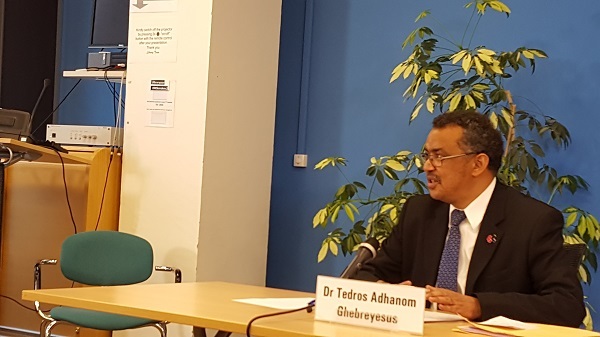 [Update] Tedros was asked a question about a Trump comment that “pharmaceutical companies are getting away with murder” by overcharging governments for products but did not answer the question. Finally, he was the only candidate asked about an issue in his personal background, as questions of human rights violations in Ethiopia during his time as a government leader have been swirling during his candidacy. He answered by saying “my record speaks volumes on that,” first pointing to his success in overseeing great gains in health in the country with meagre resources. As well, they have focused on advancing women’s health in the country, which brings economic power which brings political power. But on “general human rights” and democracy, he said the country “believes democracy is the alpha and omega of our existence. We are committed to it,” as it has no option as a highly diverse country. But the criticism is welcome, he said, because the democracy is “a nascent democracy, so we have more challenges than other countries that have more experience in democracy. It’s a process, we can build it overnight. It needs cultural change.” It needs things like increasing literacy rates. When it matures, it gets better, “the country goes from one level to the other,” he said. Tedros was the only candidate not available for follow-up questions after the briefing. "WHO Director General Candidates Hold Colorful Meeting With The Press" by Intellectual Property Watch is licensed under a Creative Commons Attribution-NonCommercial-ShareAlike 4.0 International License.